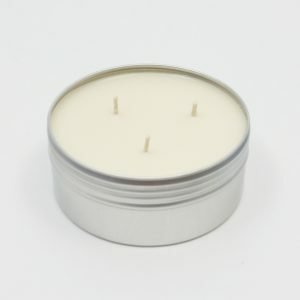 New 2oz premium hand poured soy wax candle. Classic and stylish silver tin. Revive your senses with the luxurious aromas in this sophisticated new product line. This 2oz candle tin is the perfect size for a small space that needs a quick pick me up of intoxicating fragrance. Modern…and luxurious.